From among 81 teams and 10 countries across Asia, Thailand and Singapore emerged tops, setting new fuel-efficiency records at the inaugural Shell Eco-marathon Asia, held at the Sepang F1 circuit in Kuala Lumpur, Malaysia. The record of 1,521.9 kilometers on a liter of fuel, equivalent to 3,600 miles per US gallon, set by a Thai team was enough to cover a distance from Kuala Lumpur to Bangkok. It even surpassed the record set by the winning team at a similar event held in Houston, Texas in March, of 2,487.5 miles per gallon, equivalent to 1,057.5 kilometres per litre. The annual competition challenges students to design, build and drive a vehicle that can travel the furthest distance on the least amount of fuel. A late surge from Thailand’s Army Transportation Engineering School (ATE-1) saw it outdistanced the rest of the teams in the Prototype Category. Up to the last hour of the event, Japan’s Clean Diesel Team was leading the way with 1,235.1 kilometres/litre, when the Thai team came from behind to set the record on their fifth and final attempt. “In our first two track runs our car broke down, and our third and fourth attempts were also invalidated. But we did not give up on our goal of finishing number one,” said Kittiwong Kaewbumrung, driver of Thailand’s ATE-1 Team. Aside from cleaning their clutch and transmission gear, the team also applied the driving strategies such as minimising the time they turned on their engine to save fuel and to make use of the shape of the track to assist in making turns. James Tseng, Senior Team Member of the National University of Singapore’s (NUS) Urban Concept team, attributed their exemplary teamwork for their victory in the Shell Eco-marathon Urban Concept Category. “Each member of the team really contributed and did the job to the best of their ability,” said Tseng.Speaking after he launched the event on Thursday (July 8) afternoon, Shell Executive Vice President for Global Business to Business and Lubricants Tan Chong Meng, said:”We have really seen some cutting edge ideas in action - clever vehicle designs, innovative use of energy types, good fuels, lubricants and smart driving habits. Some of the vehicles look like capsules or pencils, with sleek lines for minimal resistance and drag. I can’t help noticing that the drivers are often the most petit ladies who can be persuaded to squeeze into the confines of the vehicles to keep its weight low. For the first Asian run of the event about 80 per cent of the teams made it on to the track, comparable to teams who participate in Europe and the United States. While many of the teams were participating for the first time, standards for design and aesthetics of the cars were high, said Norman Koch, Engine and Vehicle Technology Manager for Shell Global Solutions. “What was most striking was the level of enthusiasm and commitment of the participating schools which I believe is as high, if not even higher, than the other regions that held the Shell Eco-marathon,” he added. Other than the Shell Eco-marathon On Track Awards for Prototype and Urban Concept Vehicles, Off Track Awards were also given for Safety, Technical Innovation, Communications and Marketing. “The Off Track Awards complement the Shell Eco-marathon Track Awards because the competition is a total perspective. “While the cars are tested for their fuel efficiency, it is also important that the students work in a safe manner, articulate their thoughts well, demonstrate innovation in their design and have teamwork,” Azman Ismail, Managing Director, Shell Malaysia Trading Sdn Bhd and Chief Judge of the Off Track Awards said. “Everyone is very competitive, but what we see on site is what swung our decision,” Ismail added. For the Safety Award, first place was given to NUS Urban Concept of National University of Singapore. Second place went to Philippines’ Atalanta of Mapua Institute of Technology and third place went to Autodesk Zeal Eco-Power of China’s Tongji University. The winners were selected based on the safety features of their vehicles and the way they had practiced safety in their work areas. “Safety is vital to us because human resource is vital. We don’t want any of our team members to be injured,” Tan Bor Yow, NUS Urban Concept Team Leader said. In addition to the 3 safety awards, the judges also gave Special Recognition to Malaysia’s Team Piston 1 of University of Malaya and Philippines’ Team Grigio of Don Bosco Technical College for demonstrating safety compliance during the three days of the competition. NUS Urban Concept of National University of Singapore also bagged the Technical Innovation Award while Autodesk Zeal Eco-Power of Tongji University also won the Communications and Marketing Award. “This is a brilliant event, a result of outstanding planning and sharing of learnings across the different Shell Eco-marathon events, making the competition truly on a global level. The number and quality of teams were exceptional, as well as their general organisation and efficiency,” says Mark Singer, global manager for the Shell Ecomarathon. 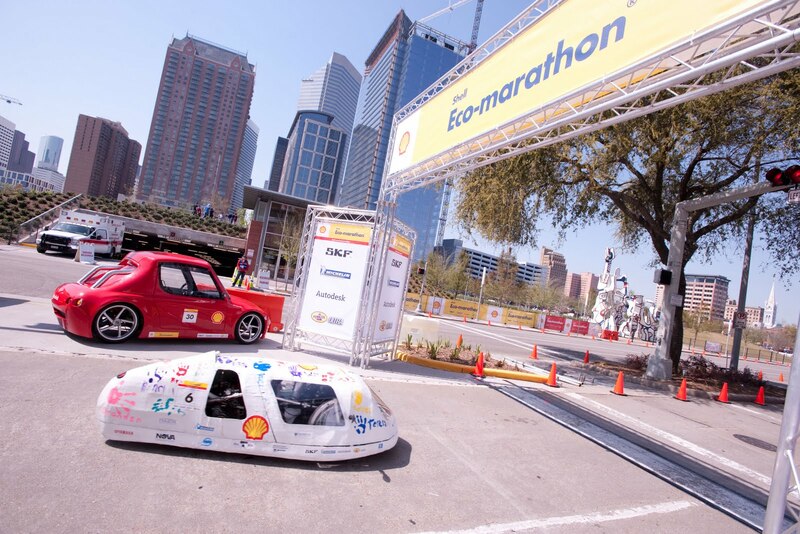 The Shell Eco-marathon Asia 2010 is supported by our global sponsors Autodesk and Michelin. Local sponsors include Sepang International Circuit, Malaysian Airlines, Ericsson, Celcom, Leeden, Uvex and Red Wing Shoes. We wish to thank all our partners for working closely with us to make this a safe and successful event.